FL Studio is a full-featured, open architecture, music production environment capable of audio recording, composing, sequencing and mixing, for the creation of professional quality music. FL Studio can be used as a scratchpad for your ideas or to produce completely mastered tracks ready for publication. It will play any sample file (wav), generator (softsynth), VSTi & DXi or midi instrument you feed it. You will be creating wav, mp3 or midi songs or loops only minutes after launching it.FL Studio is a Digital Audio Workstation (DAW) for Windows PCs (or Intel Mac/ Bootcamp). 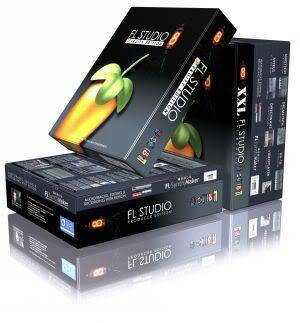 With a full feature-set and aggressive pricing (inc. lifetime free updates), FL Studio may be your ideal DAW! FL Studio can be used as a scratchpad for your ideas or to produce completely mastered tracks ready for publication. FL Studio will play any sample, VSTi, DXi or Buzz plugin fed into it and also comes with its own generators (softsynths) and effects (filters).